We come across outstanding things every day- from posh cars, magnificent buildings, to wonderful relationships and people. The question is what really is excellence? Excellence has to do with something extremely good and outstanding. Have you ever walked into a room and felt impressed with the ambience? Was it the color of the rug, the tile, wall color or upholstery that caught your fancy? Everything was extremely good and outstanding that you exclaimed ‘wow’! Having an excellent spirit is sine qua non to every business. Why you might ask? This is so because people will always do business with people who are exceptional. People are drawn away from businesses that never deliver top notch services. If you have ever had an encounter with businesses that didn’t deal well with you rightly, then you’ll understand this better. 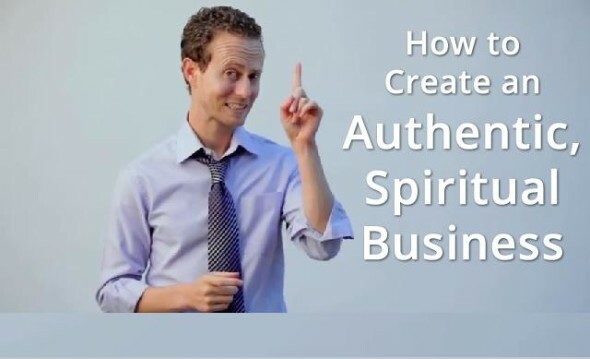 What Does Having an Excellent Spirit Have to Do With Building A Brand? It is very imperative especially if you want to rise to the crescendo, to imbibe an exceptional feature. Having this kind of spirit means the following factors below have to be in place. Yes, put everything in place- from the most important job description to the minutest. Being detailed is all about ensuring that there are no loopholes with how your products and services are produced, the ways services are rendered and how relationships with customers are fostered. Additionally, addressing things that your competitors ordinarily wouldn’t pay attention to will also help. For instance, calling or mailing your customers and asking them of ways you could serve them better will never be out of place. This only goes to show that you are detailed enough to perceive that there are areas you are lagging behind that only your customers can suggest how they can be better served. By posing such a question to your customers, they would know that you want to strive for excellence. This means being ahead of your competitors. You need to constantly look for new ways to raise the ante. Research not only through the internet, but also by observing your competitors and asking questions if need be, to know what makes them tick. Lots of inventions have taken place, so the focus will be on innovating other people’s strategies to push you to the next level. Building a strong and reliable brand is about looking at principles that helped individuals, as well as organizations grow, and infusing them into yours. You can even be creative about it. Knowing how to adopt strategies that helped others and tailoring it to suit you is a brilliant step to being extraordinary. The same principle that works for you in the cosmetic line of business can work for an automobile business only if you are creative in your thinking. It doesn’t matter, with creativity you can tailor it to fit. Creativity can never be over emphasized. How creative you are will tell by the products and services you have. The rich well of creativity you were born with will be put to test when you produce ideas and concepts that are extraordinary. Go to work. Let your mind reach within and draw from the well of intelligence you have within to grow your business. All the world class organizations we see today never trivialize these factors. They constantly work at it and in due time they see the results. You will be labeled extremely good just like them only if you make a paradigm shift today and always. Have learned something different today. Good spirit reflects on you, this is something you can never hide away from anyone. Having all these kind of spirit is good for health. We must have good spirit in everything we do in our lives and glad you liked my post. Thanks for stopping by and hope to see more of you here. I loved what you said in your About Me page about reading the same topics over and over in each blog you visited, I think that’s boring and where many bloggers drop the ball. Developing your brand can be something as simple as being yourself and adding that unique spark to everything you do online, people will notice and connect better with you that way. Thanks so much for stopping by and leaving your valuable comment. I always believe to standout from other bloggers and stick with my own business. After I launched a site called “JustRetweet.com” I’ve seen many bloggers benefiting from it and this is what great spirit is all about. Innovation is key. You don’t need to re-invent the wheel to be successful though. By simply looking at your service and understanding how you make small tweaks to it in order to make it more helpful for your customers you will quickly stand out from the crowd. Apple didn’t invent the phone or the PDA. Ferrari didnt invent the car did they. Thanks for stopping by, I agree with you that Innovation is key in every aspect of any business. Thanks for your comment and hope to see more of you. Excellence is what set us apart from the mediocre. If we want to stand out, we must be able to deliver this to our customers. Good spirit is important to succeed in any effort.You need to have positive attitude to succeed.Nicely written article….